Heating – Best IBC Tote Heaters. 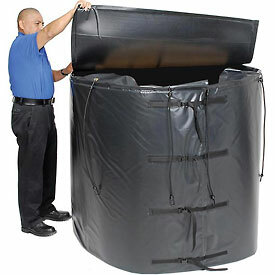 Heating tote tanks has long been a difficult proposition, especially in colder climates. Chemicals, resins, spray foam, food products and other temperature sensitive materials are stored in large totes. When temperatures fall below freezing, tote contents can easily become spoiled or ruined. Heating large IBC totes is no easy task, but we’ve scoured the web and found a couple of very nice products that do a bang up job of heating and insulating IBC Totes, including larger tanks & silos. Heat Authority offers a wide selection of IBC Tote Heating Blankets that cover all bases including intrinsically safe and explosion proof models. We tested the ProMAX IBC Tote Heater for all around general use applications! Case in point – the ProMAX 275 & 330 Gallon (model HA275 & HA330) IBC Tote Heaters with silicon insulated heating elements heat quickly and offer superior insulation against cold warehouse and/or outdoor weather conditions. Available in 120V & 240V options & 1800 watts of heating power, the ProMAX will achieve a high-temp of 212F and customers are demanding this high-heat technology. Heating and maintaining temperature in a variety of materials has never been easier. Safely heats and insulates food products, chemicals, water and other temperature sensitive solutions for year round temperature control. Viscous materials slowing down your operations? 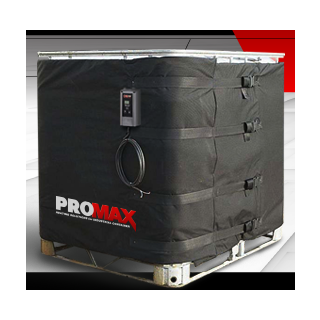 ProMAX Tote Heaters will save you money and time while helping you maintain an even and consistent temperature year-round. Adjustable straps and pinpoint temperature control via their digital controller make this a very popular model. CALL (866) 805-4328 to order or BUY NOW. Powerblanket manufactures a complete line of IBC Tote Heaters with thermostatic controllers to dial in temperature to exact requirements. We tested the Powerblanket TH330 (330 gal.) with internal heat spreading technology and an adjustable thermostat controller, all retailing at about $1680 ($1575 for the 275 Gallon). Any worries we had about quality were quickly replaced with intrigue as we wrapped our first IBC with the Powerblanket. It was obvious from the onset that the Powerblanket was very well built and included all the necessary straps and clips to quickly secure it to our tote… this was no bare-bones base model heater. What was really amazing was how quickly the blanket reached our target temperature of 130° F. The thermostat controller included a unique heat probe allowing us to dial in the temperature to our target temp. We used a solution of water and sodium for test purposes and found that the Powerblanket TH330 did a superb job of both heating and maintaining heat after unplugging. The insulation within the Powerblanket really made a difference after we unplugged the TH330. Heat loss was minimal even after being unplugged for 6 hours. Further examination revealed that the Powerblanket did not produce cold or hot spots which is a common complaint with some competitor models. A very solid piece of equipment which we are happy to give our stamp of approval! UL/CSA/CE and ETL certifications make this a very popular model for safety and use in Canada and Europe. See their complete products online at www.HeatAuthority.com or call 866-805-HEAT. #3 – BriskHeat Corporation is a well known manufacturer of IBC Tote Heaters and accessories. Their products are well made and their warranties excellent. The major issue we found with BriskHeat is their long wait times and back orders. Expect a 3 to 4 week delay on your order if purchasing from a distributor. Again, Heat Authority seems to have the quickest ship time among major distributors. 275-Gallon IBC Tote Heater ProMAX 212F Adj. 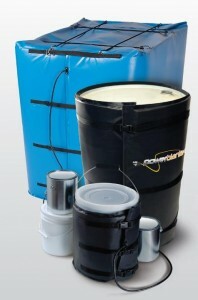 Heat Authority offer several methods for heating 275 Gallon IBC Totes and other Industrial Materials. Links provided will allow you to jump directly to the system that best fits your needs including immersion heaters, electric blankets, blowers, and radiant heaters. Powerblanket & ProMAX IBC Tote Heaters are our TOP PICKS for 2015. We based our decision on price, availability, watt density and upgradable options! 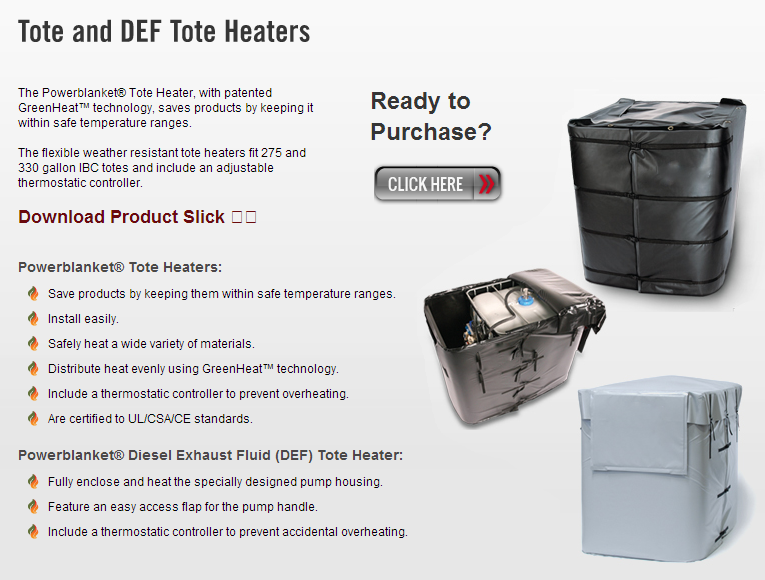 Best IBC Tote Heaters – pricing & availability on all major brands of Tote Heater Blankets. 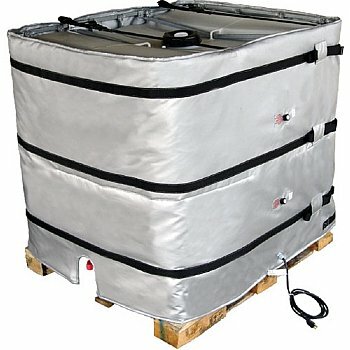 275 & 330 Gallon Tote Heaters are designed to wrap around poly and steel IBC tote tanks and provide a barrier of uniform directional heat to the entire surface of the container. Here, we examine the 3 main (most popular) manufactures, namely PROMAX, POWERBLANKET & BRISKHEAT. With 1800 Watts of power, adjustable temperature controller (0-212 degrees) Fahrenheit, 120 & 240 Volt power and a dozen or more options including waterproof material and dual zone heating make the ProMAX popular option with warehouse managers. If you are looking for the best IBC Heater on the market, we recommend you call Heat Authority. Order online and get FREE shipping. Powerblanket 330 Gallon Tote Heaters use a patented heat spreading technology called GreenHeat to evenly distribute the heat to the blanket surface. Testing shows that the Powerblanket heats quickly and uses less energy than the comparable BriskHeat model. The Powerblanket model TH330 also includes the top cover, which is an addtional charge on the BriskHeat version. Average price for the Powerblanket TH330 – 330 Gallon IBC Tote Heater is $1,680 and is in-stock and available online @HEAT AUTHORITY or call (866) 805-HEAT. Also available in larger and smaller versions. UL/CSA/CE and ETL certified. The BriskHeat 330 Gallon Tote Tank Heater comes well packaged and includes two separate heat zones. This feature is useful when the tank gets low and only the lower portion needs to be heated. We found the cost of the BriskHeat to be considerably higher and does not include the top cover which is needed in almost all circumstances. Expect to pay (on average) about $600 more for the BriskHeat model compared to the Powerblanket. If dual heat zones is mandatory, and price isn’t a factor, then this unit is probably for you. Also available online from several distributors, with best pricing and availability found @ HEAT AUTHORITY. Also available for DEF (Diesel Exhaust Fluid) pumping stations and other tote tank configurations. Powerblanket, BriskHeat & ProMAX do not sell Tote Heaters direct to the public. The most reliable online distributor for any Tote Heater product line is Heat Authority, which we found to have adequate Heaters in stock & on hand and the ability to offer same day shipments. CALL & buy direct (866) 805-HEAT.